The Vancouver Learnary Society - Pysanky: Ukrainian Egg Dying. 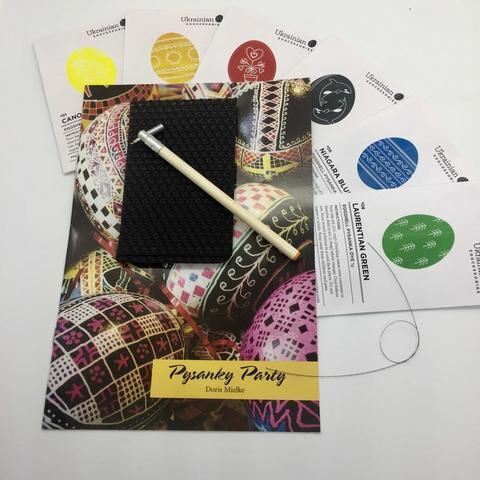 Learn how to use the awesome Pysanky supplies we carry from Canadian Company, Ukrainian Eggcessories. Pysanky involves using wax resistance to make detailed and beautiful egg decorations. The dyes from Ukrainian Eggcessories are brilliant and vibrant. Supplies for home use available at The Learnary Shop.